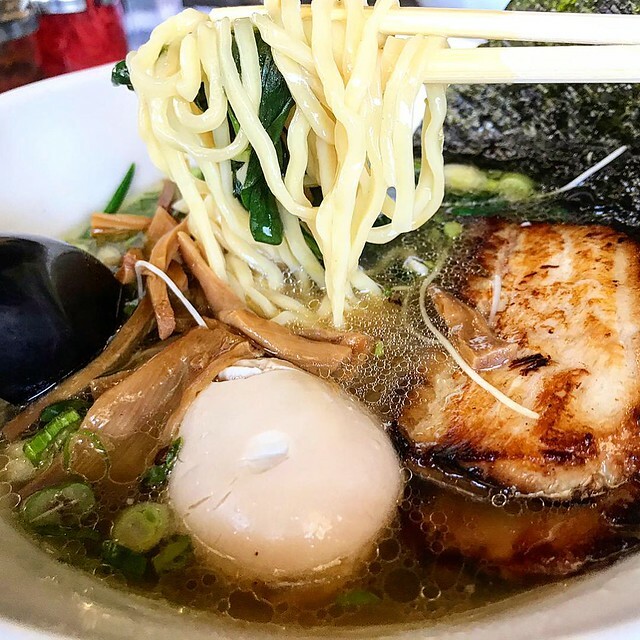 If you’re looking for ramen without the hassle of going to Sawtelle, there’s Ocean Park Ramen in Santa Monica. 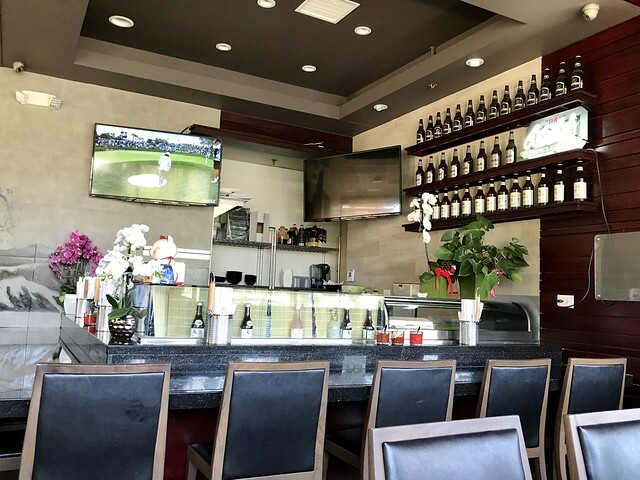 During a weekend lunch, we encountered no wait for a table and even something more unusual – a free parking lot with spaces available! 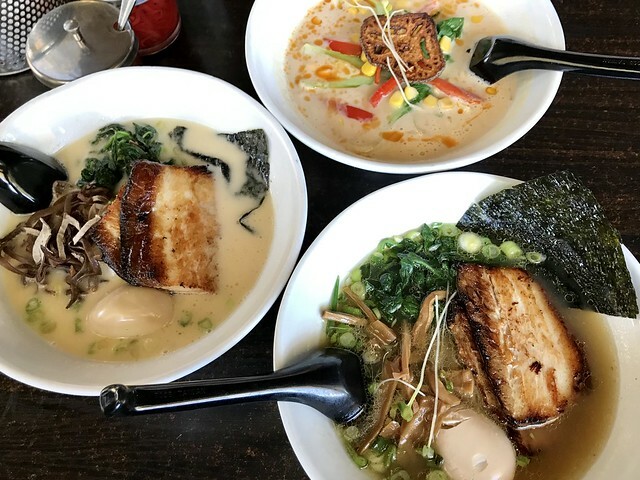 The ramen menu is limited to just three choices – Tonkotsu, Tokyo Shoyu and Vegetable, priced from $11-$12.50. The Tonkotsu came with your choice of pork chashu or tofu, egg, spinach and bean sprouts. 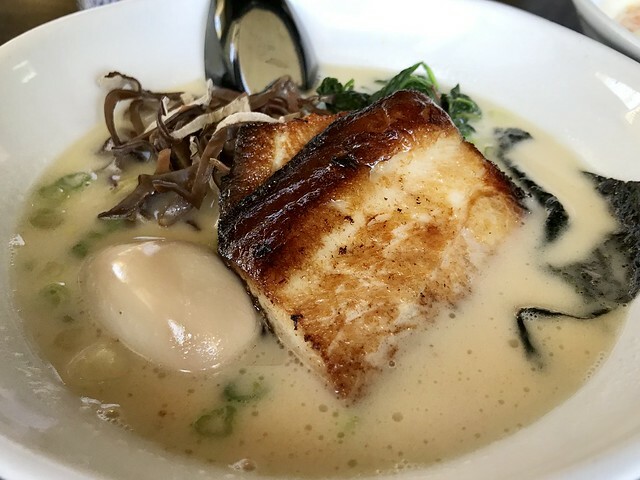 The broth was perfectly milky-looking and the chashu was so tender that it practically melted in your mouth (although maybe that was the pork fat). The Tokyo Shoyu has a clear pork and chicken broth, choice of pork chashu or tofu, egg and spinach. The broth was much lighter than the tonkotsu, less of a toll on my arteries, though no less tasty. I really appreciated that the spinach and soft-cooked egg were included, instead of being an additional charge. 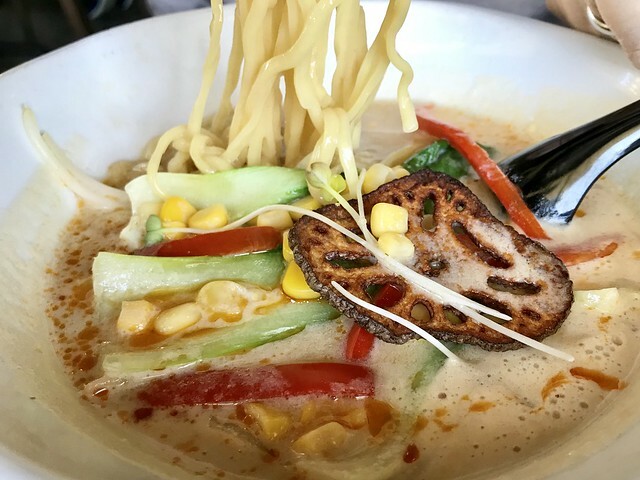 The Vegetable ramen also has a milky-looking broth, though slightly spicy, which was significantly more flavorful than most other vegetable ramens. If you’re a vegetarian, it’s definitely one to try. 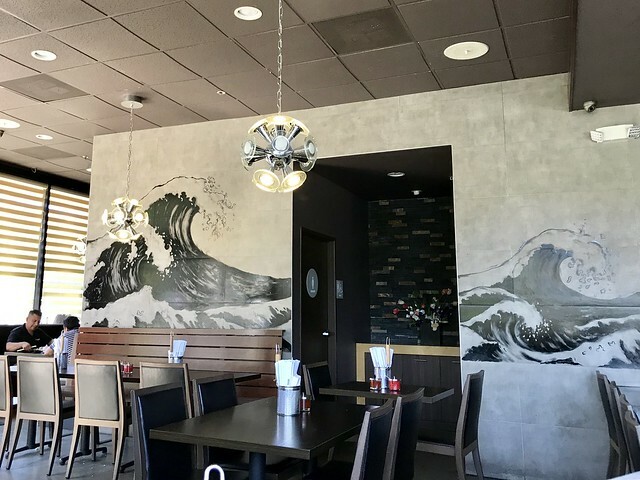 Ocean Park Ramen has appetizers like pork buns, karaage and pork chashu fries, rice bowls and sushi, should you not be in the mood for ramen. 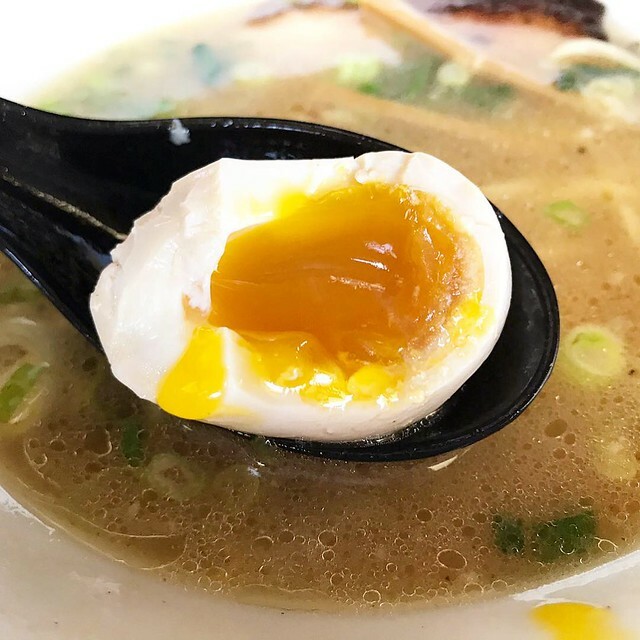 If you are in the mood to slurp noods, Ocean Park Ramen is a great Sawtelle alternative – especially with the no-extra-charge soft-cooked egg and spinach, plus free parking!